TATSUMI is a wonderful animated film that works on two levels. Most obviously, it is the life story of Japanese manga artist Toshihiro Tatsumi, based on his award-winning graphic novel/memoir, "A Drifting Life". It shows him growing up in war-torn Japan, making his name as a young Manga artist, and finally pioneering a new type of comic for adults, dealing explicitly with sexual frustration, ennui and social issues in post-war Japan - in sharp contrast to the Astro Boy comics of his idol Osama Tezuka. To that end, the movie works as biopic for manga fans, interspersing the impressively frank autobiography with short animated films of some of his most famous short stories. This was interesting, and elegantly done, but as a person who has never read a single manga story, I found the movie more compelling as a document of social history. 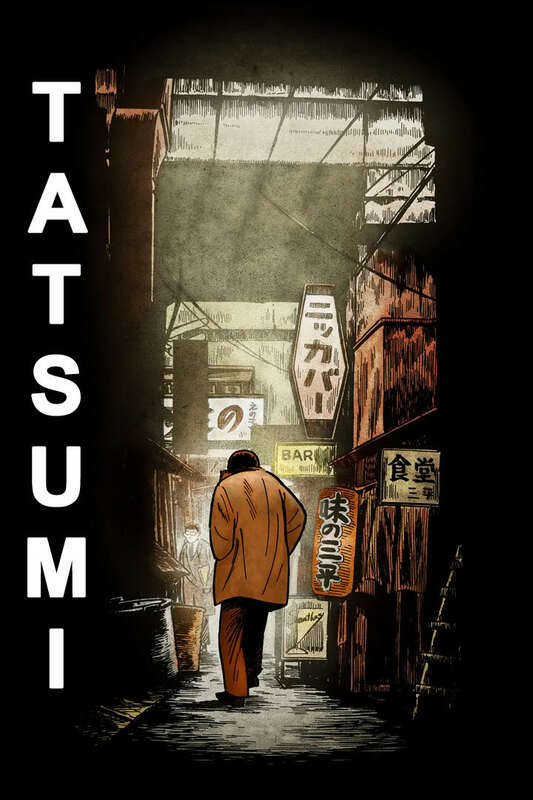 Thanks to Tatsumi's keen eye and honesty, we learn a lot about the social, sexual, political and economic changes in Japan, from the horrors of the nuclear bomb, to deprivation, to the economic boom. There were all sorts of little facts that shocked me - I was shocked at my own ignorance - such as the fact that the Japanese couldn't travel abroad until 1964 and even then with only a dollar's worth of Yen. So, for me, this film was entertaining, moving and educational, and I would recommend it even to people who have no interest in manga at all. The visuals are beautiful, elegant and powerful, and have prompted me to start reading "A Drifting Life". TATSUMI played Cannes 2011 and opened last year in Singapore and Hungary. It opened earlier this year in Ireland and the UK and is currently on release in the USA. It is available to rent and own.